Professional Data Recovery Service in Kolkata. Stellar Data Recovery is one of the leading Data Recovery Service provider in Kolkata. We are an ISO 9001:2015-QMS & ISO/IEC 27001:2013-ISMS certified data Recovery Company and having 15 branches across India. We provide best world class infrastructure class 100 clean room to recover data from all kind of data storage devices from all kind of data loss situations. We recover Upto 100% data from hard drive, pen drive, MAC, RAID server, SSD, mobile phones, laptops, memory cards etc. Our data recovery services are available for both corporates and individuals. Our data recovery center in Kolkata is situated in a major location in the city, therefore making it accessible for people coming for Howrah, Hooghly, Dhanbad, Asansol, Durgapur, Siliguri, Patna. In addition to serving the customers in the state of West Bengal, Bihar, Jharkhand we also are accessible to Customers from Sikkim and North Eastern cities namely Gangtok, Guwahati, Dispur, Dibrugarh, Shillong, Imphal, Kohima, Agartala, Aizawl, and Itanagar. We cater to about 180+ cases of data recovery per month and 6 cases per day on an average. Our team can furnish complex cases such as Raid servers, SSD's, or physically damaged Hard disks to an elementary case of deleted or formatted files from SD cards to Flash drives. 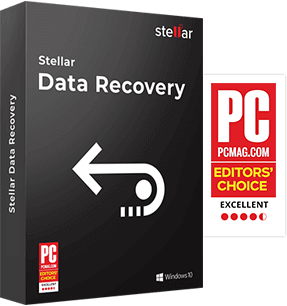 With a success rate of 95%, Stellar has been providing data recovery services in Kolkata since the last 4 years. Our data recovery labs adopt advanced methods of data recovery using the state-of-the-art infrastructure and in-house experts. Being a global player, the company offers industry best practices with zero compromises on 'consumer privacy' and 'security' of data. Our Kolkata data recovery center extends a reliable and secure data recovery service to all consumers in the Eastern part of the country. Local Data recovery services are available in the city, but for those who are looking for data security and integrity, Stellar Data Recovery is the answer. 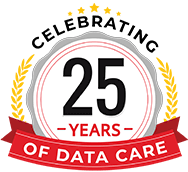 Being the only ISO 9001:2015 & ISO/IEC 27001:2013 certified data recovery company in India, it has been recovering data for over 3 million+ customers all across the globe. 5/5 April 17, 2019 It was wonderful to work with you. Thank you so much for recovering all the necessary data. 5/5 March 28, 2019 Service is very good. Got my all data recovered. 4/5 March 27, 2019 I am satisfied with the service. It is highly recommended for any data loss or damage. But still, the charges should be affordable and pocket-friendly. 5/5 March 27, 2019 An excellent job was done by Stellar Team.